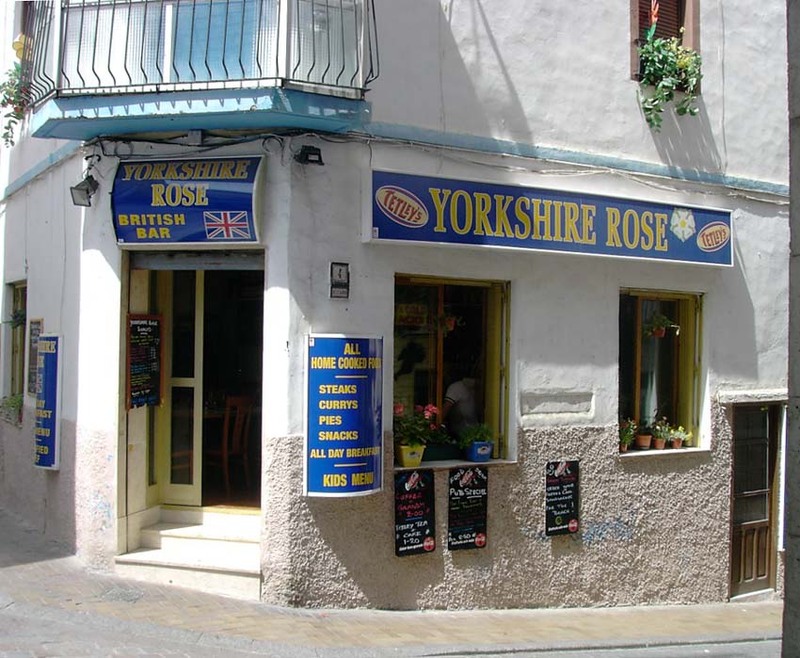 The Yorkshire Rose, Old Town, Benidorm. Breakfasts, bar snacks and take-aways for the beach or airport. Friendly family bar. 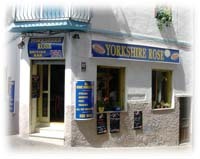 A Warm Welcome To The YorkshireRose from Steve, Sandra and Tracey. 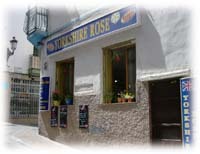 The YorkshireRose is a family run bar situated in the Old Town of Benidorm. We offer a friendly and welcoming atmosphere to everyone. 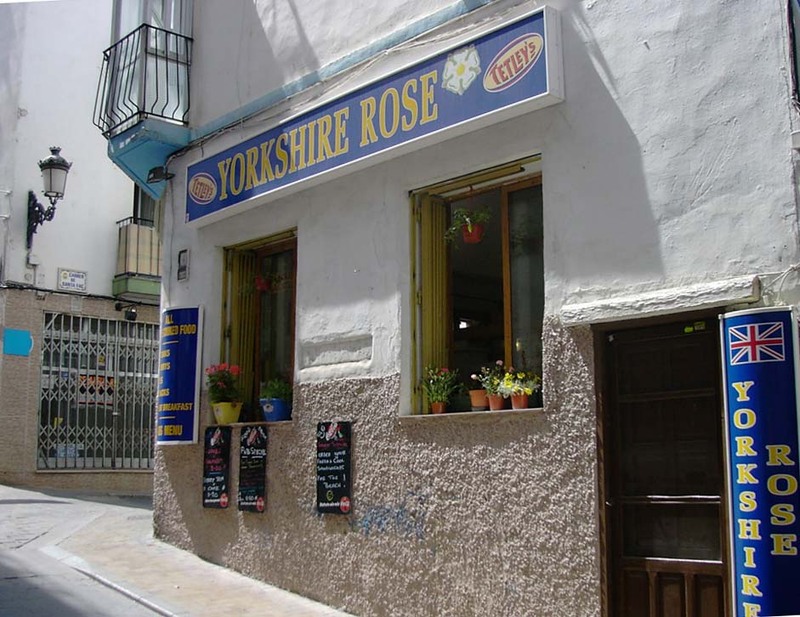 Our cool and airy corner bar is located right in the heart of the narrow streets of the Old Town and is an ideal place to take refreshment before heading up to the Balcon viewing point and the old church. We show Sky TV for our customers and provide the English daily papers, so catch up on the latest news and sport over breakfast.. or why not take-away one of our pack lunches which are ideal for the beach, airport or day out. Selection of home-made beef or chicken curries. Hot home-made pies served with peas, chips and bisto gravy. Steaks, ribs or chops, liver or gammon from the grill. and full range of bar snacks, sandwiches etc. We are open from 10:30am each day for food and drinks and the kitchen is open right through till 10pm... but stay and join us for a drink as the bar stays open right through 'till the early hours each day. 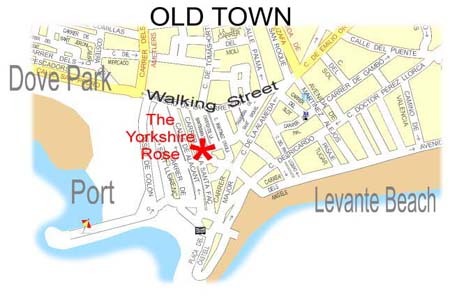 To find us walk along the Walking Street from Dove Park and Poniente Beach. Take the 4th narrow street on the right (Carrer de la Santa Fac) follow this right up the hill until you reach the end are we are on the top corner. This website is part of the Centrictravel.com Benidorm Guide. 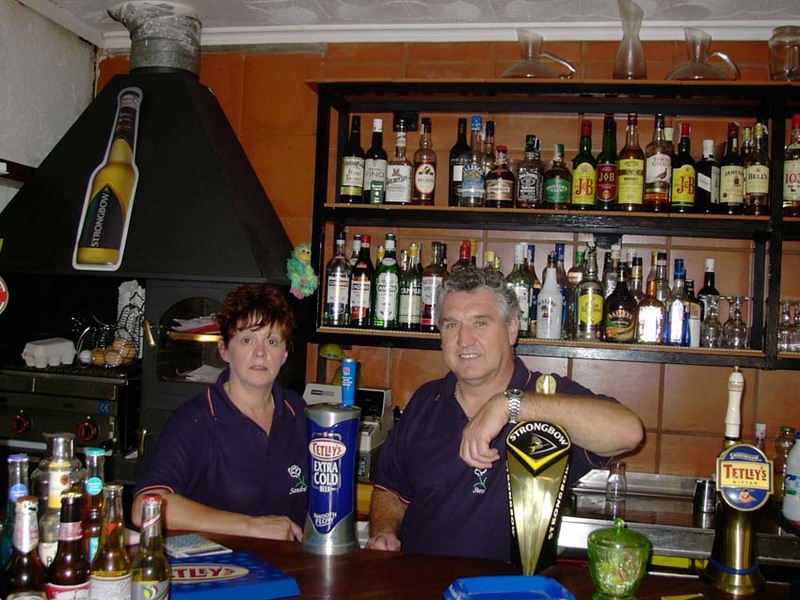 Keywords: Benidorm, Eating Out in Benidorm, Snacks and breakfasts, picnics, hampers, beach, Benidorm uncovered, Take away sandwiches, Yorkshire Bar, Yorkshire Pub, Benidorm bars,Benidorm nightlife, Benidorm Bars, Holiday resorts, Med,Gay Bars Benidorm, Benidorm Gay resort, Costa Blanca, SpanishCosta.com, CentricTravel.com, Queens Hotel, Sunday Roast.